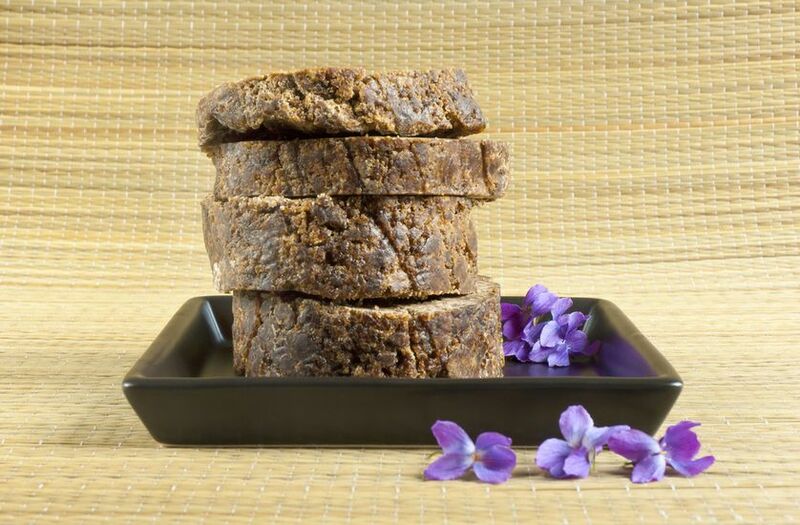 Home » Soap News » What is African black soap? Seems black soap or African black soap — also called anago soap, alata samina or ose dudu — has long been used for healing problem skin. It’s a cleanser used to lightly exfoliate and give skin a healthy glow, but there are also claims that it can thin fine lines, even out dark spots, and razor bumps and blemishes. African black soap absorbs water easily, so it should be stored in a plastic bag or dry place. In bar form, black soap is a little crumbly and softer than most soap and may look like food to a child or pet, so be careful to store it properly. It’s also typically a shade of brown, instead of black. It has a high glycerin content and absorbs water easily, so it should be stored in a plastic bag or dry area away from the tub and shower.